Winter IS Coming… And so are the holidays! It’s inevitable so don’t shoot the messenger here… at least it’s not Christmas in July, I did wait till August! 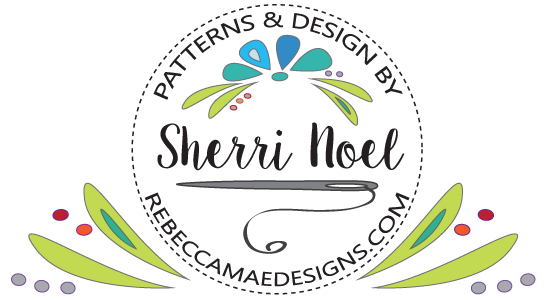 :) I wanted to thank everyone for their nice emails and comments on my tutorials ~ it’s great to get feedback and hear from fellow quilters! 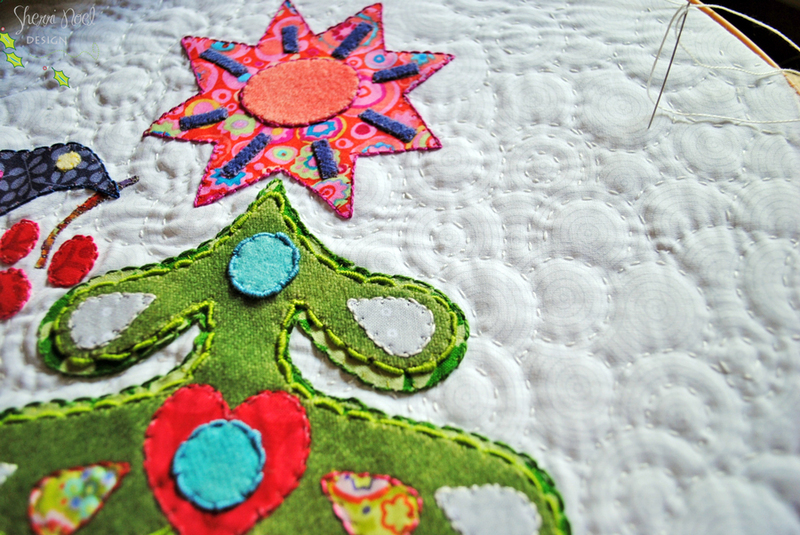 Earlier this summer I was busy working on this little holiday project for The Festival of Quilts. 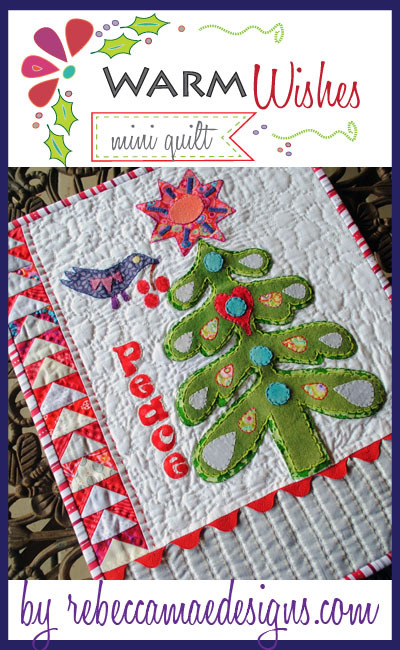 The festival is held in Birmingham, England, and I made this mini-quilt for the Warm Company’s booth to promote their fusible fleece. 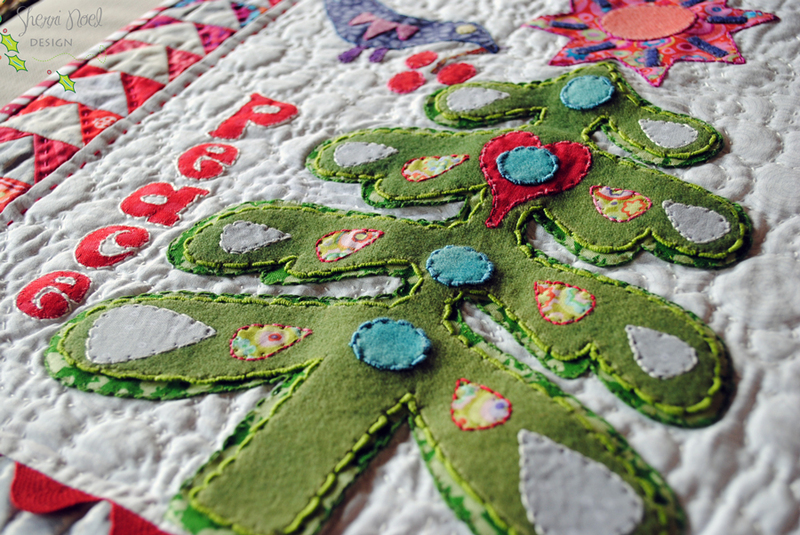 I used perle cotton to backstitch or add bullion knots around all the applique. This project was available at the show this past weekend to UK retailers for their shops as a free pattern sheet… and if you like this pattern (and I hope you do!) I’m posting it here for you too! ~ download free and enjoy! 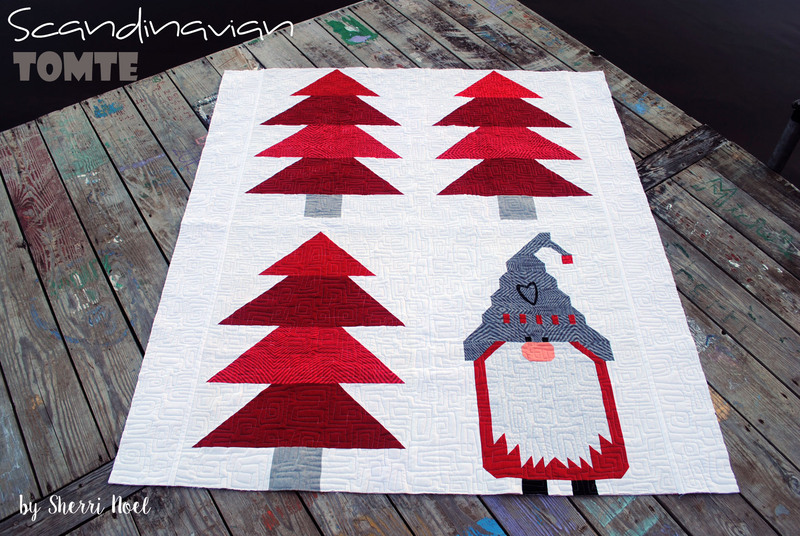 Check out my new Scandinavian Quilt Pattern HERE! PS ~ I AM a huge Game of Thrones fan! Winter IS Coming!!! Yippee! 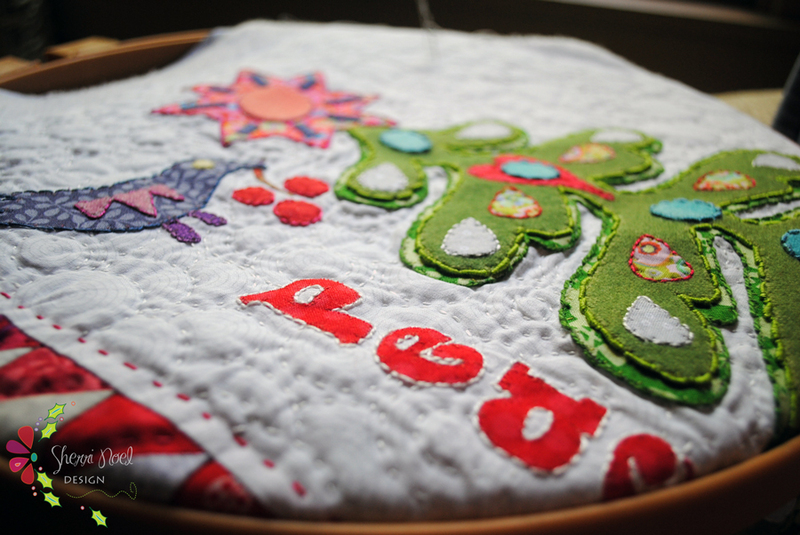 I think this is an adorable applique project! I did pin it! Thank you for sharing and have a wonderful creative day! So beautiful!! Definitely on my to do list for Christmas. Thank you! Very cute design, congratulations of having it printed to shar with us. I’m busy with a couple of wool projects but plan to make this one day. merci beaucoup pour tous ces beaux tutos et toute mon admiration de france! 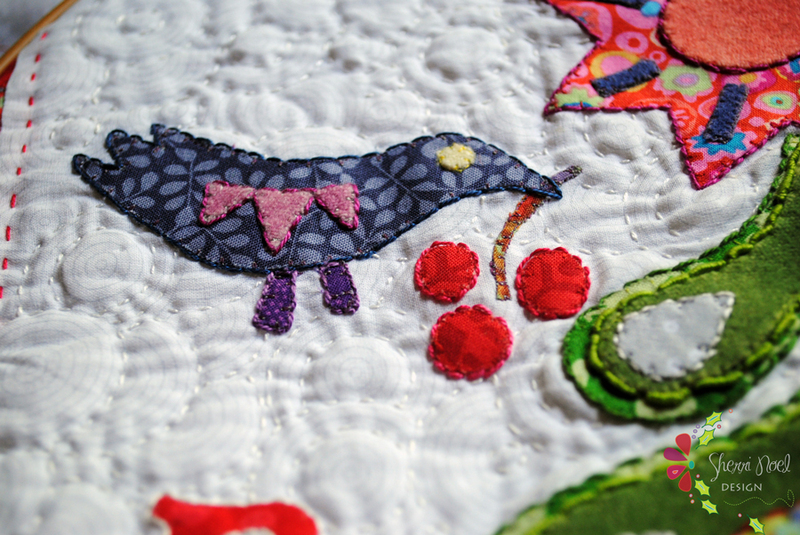 I love your appliquéd design, that bird is so cute! I’m sure you free instructions helped wonders at Festival! Thank you so much! I’m excited to make this! What a great design! Love the cute little flying geese. Have fun at the festival. PS- I am a big fan of GOT too! I did not like this last season as much, straying from the books more and more now. 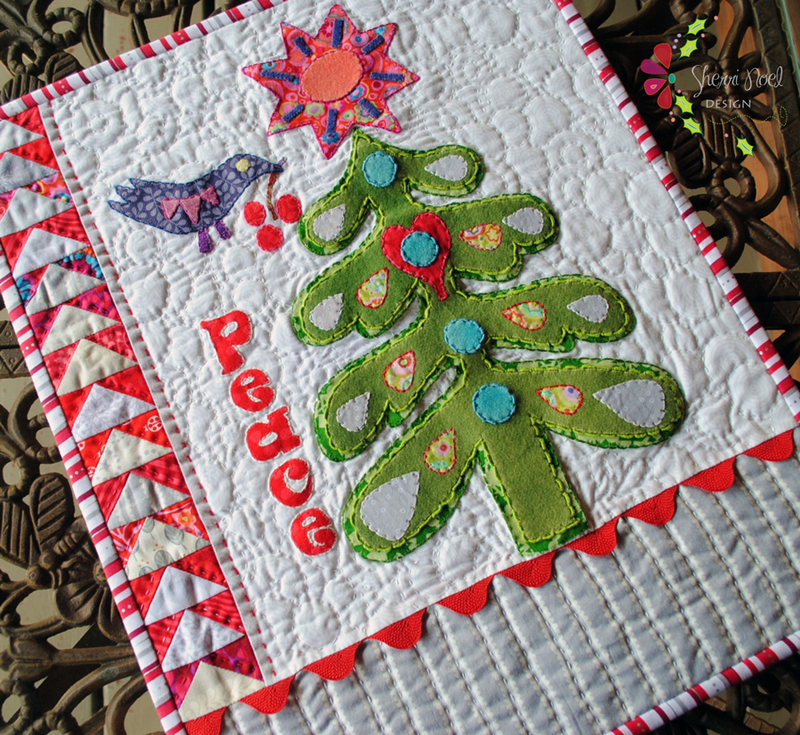 Super cute – thank you for the tutorial! I really love the touch of ric rac!